Father Robert A. Lange s engaging memoir, Windows into the Life of a Priest, supplies exactly what the book's title indicates, namely, an anecdotal account of one man's Catholic priesthood. While it is autobiographical in the sense that it is based largely on Father Lange's life and experiences as a priest, the aim and purpose of the book belong more to the realm of Catholic faith and devotion generally, and, indeed, to that of Catholic apologetics, giving reasons for the faith, offering a defense ... for the hope that is in [us] (1 Pet 3:13). No doubt every priest who has answered the call has a unique story. Father Lange's journey is at once captivating as he describes his personal path to a faith-filled priesthood. 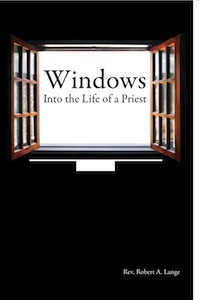 But it also captures a vivid example of the challenges and hurdles that every priest answers before, during, and long after he has accepted the heavy mantle (along with the many blessings) of the priesthood. As with another reviewer, I am also a Catholic convert. And like 99% of everyone outside of the clergy (my guess at this statistic), I knew almost nothing of what it must be like on the journey to shepherding the Lord's flock. Father Lange's story will leave you thanking every faithful servant of God for their dedication and service. 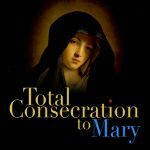 It will also reaffirm the love and protection of a loving trinity that is God, and inspire you to also seek the intercession of Mary, the Blessed Mother of Christ our Redeemer. Full disclosure: Father Lange is my wife's uncle. In spite of this (ha ha) I give this book a highly positive review. 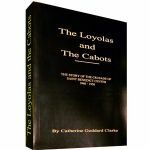 Your spiritual life will be richer for the reading of—and learning the lessons in—this inspirational book.